Now I can get back to ‘real life’…. NaNoWriMo is done (for me) for another year! I submitted my 50K words this AM , 50115, but who’s counting? 🙂 It’s a great experience and I will do it again next year, and I WILL finish this book – The Face in the Mirror (so you can anticipate it)! I’m now ready to complete the next one that I will be publishing – Whose Bed Have Your Boots Been Under – waiting on one last set of ‘eyeballs’, but picked up the second to last copy yesterday for edits and they are DONE – I LOVE ME CHALLENGERS! Jeff is working on the cover and we have a rough draft complete! I am hoping for a FREE KINDLE DOWNLOAD in time for the Christmas holiday (I say Christmas!). I’ll keep you posted. Book Two of the Trilogy – When I Look to the Sky – is in my clean-up mode before I let any other eyeballs see it! And I did a fundraiser for OakLeaf Relay For Life, selling chances to be the first to read it and Jennifer Chretien Johannes won the honor! Hopefully mid January for her to read it! I’ve been busy – losing my mind typing words, thinking of words, looking up words, reading words, searching for different words… It’s MADNESS! 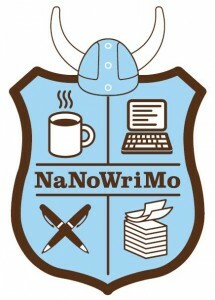 NaNoWriMo is a SICKNESS… And I signed up for it one more time. I am currently at a word count of 35,558 of 50,000… What was I thinking? Oh wait! I know the answer to this! I WANT TO CONTINUE TO LEARN, for each word I type to inch me closer to one word – BETTER! I want to be better, and as crazy as this is, I LOVE IT! Before you read on – let ME encourage YOU – if you have a story in your head – WRITE IT!! As an intern here at NAPCO (the parent company of Book Business and Publishing Executive), I am constantly exposed to new, exciting things happening in the publishing industry. Two weeks ago, I wrote an article celebrating this year’s kickoff of NaNoWriMo (National Novel Writing Month). In that article, I challenged all you publishers to one month of literary abandon in which you (yes, you!) could become authors yourselves. I wanted to take a minute to check in on your progress, and to share my own NaNoWriMo experience with you. That’s right, you are currently reading the words of another first-time WriMo. NaNoWriMo—in which participants pledge to write a 50,000-word novel during the month of November—is probably one of the crazier things I’ve signed up to do. First of all, before this month, I had not done anything to indicate that I had any latent talent that would enable me to be a novelist. As an English major at a liberal arts college, I’m used to writing papers, sure, but those papers usually cap off at around 10 or 15 pages; 50,000 words come out to around 200 pages. Additionally, the only creative writing class I’ve ever taken is creative non-fiction—not exactly something to qualify me to write a novel. By the end of November, I don’t expect to have a masterpiece. I don’t even expect to have something I’m willing to let another human read (except maybe my mom). But I will—fingers crossed—have 50,000 words that didn’t exist before; 50,000 words that I wrote. And that’s pretty cool. NaNoWriMo is a time to lock up your inner editor, drink lots of coffee, occasionally fight the urge to rip out all your hair, and to let the words flow without concern for what happens when December hits. So, if you missed out on NaNoWriMo this year, think about giving it a shot when November 2013 rolls around (unless, of course, the apocalypse has happened by then, in which case, never mind). You can even try writing a novel during the month of December instead, or even starting tomorrow. There’s nothing magical about the month of November; the point of NaNoWriMo is putting a story to paper, and that’s something that anyone can do, at any time. words that will remind me…. I said a while back that I wasn’t going to post here every day – only when I had something important to say… Today I do…. A very special friend shared this with me in a private message, but as I read it for the fourth time I decided that I NEEDED TO SHARE IT. Thank you, Jeff, for always sharing things that motivate me, things that make me stop and think… Things that make me go, ‘Hmmmmm”. I’ve said here, before, IF YOU HAVE A STORY IN YOUR HEART, TELL IT! When I was at the Festival last weekend someone told me they wanted to write, and then asked what made me go ahead and take MY LEAP OF FAITH, but before I answered she did… “BRAVERY, right?”. I guess that’s what it was, and reading Ms. Graham’s words made me realize that it’s OK, I know I have so much more to learn, to grow, but I will “keep the channel open”….